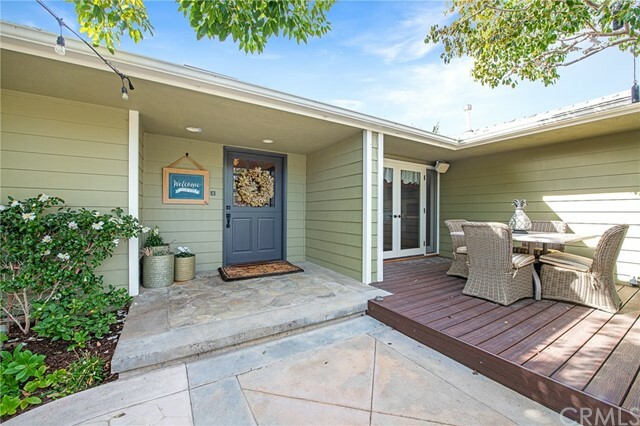 Set on a generous sized corner lot and rebuilt from the studs in 2005, this single-story home charms at first sight. 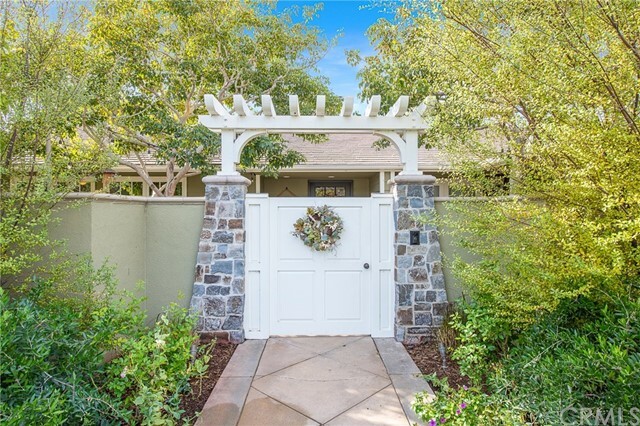 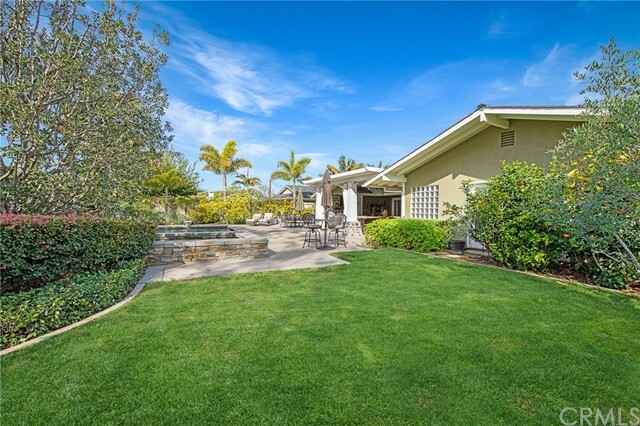 Beautifully landscaped with hedges and fruit trees, a stone path leads to a privately gated trellis entrance and front courtyard with sitting areas, raised patio and Dutch front door entry. 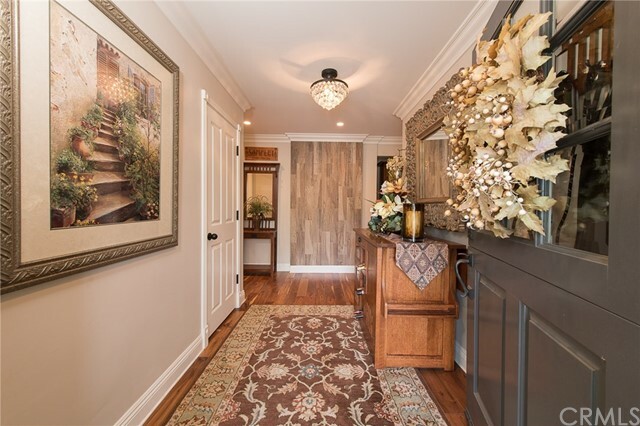 Warm and inviting interiors include four bedrooms plus an office and are adorned with gleaming hardwood floors, textured cut-pile carpeting, crown molding, and a thoughtful floor plan to maximize flow throughout. 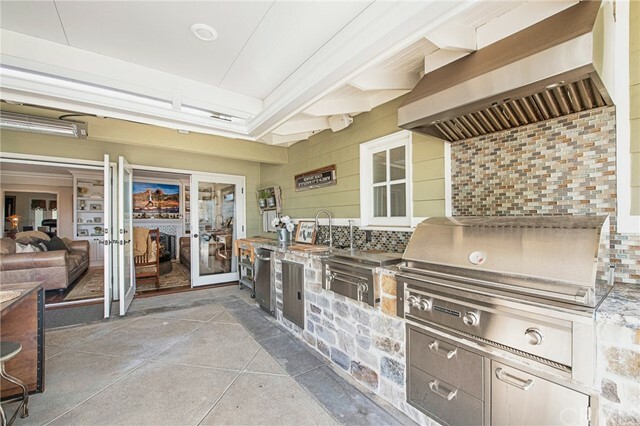 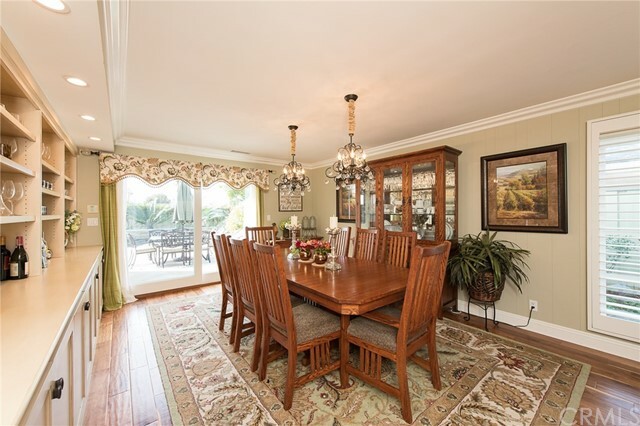 The kitchen is graced by quartzstone countertops and stainless fixtures, and the adjacent formal dining room includes built-in buffet and sliding glass doors leading to the backyard. 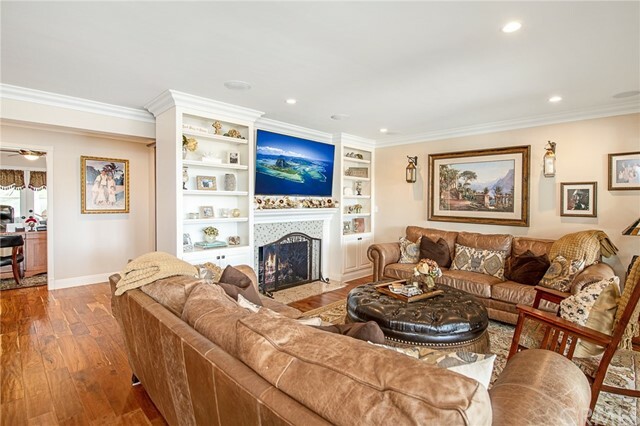 A spacious living room with gas fireplace, custom-built-ins and surround sound sit at the center of the residence, with multiple sets of French doors opening to reveal a stylish California room expanding the living areas outdoors, complete with stacked stone, a double-sided glass fireplace and full outdoor kitchen area. 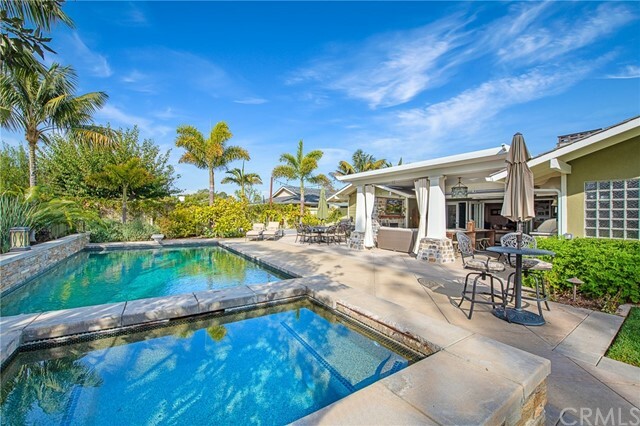 The backyard is a very private oasis, complete with spa overflowing into glimmering pool, large grassy area, and an abundance of sun. 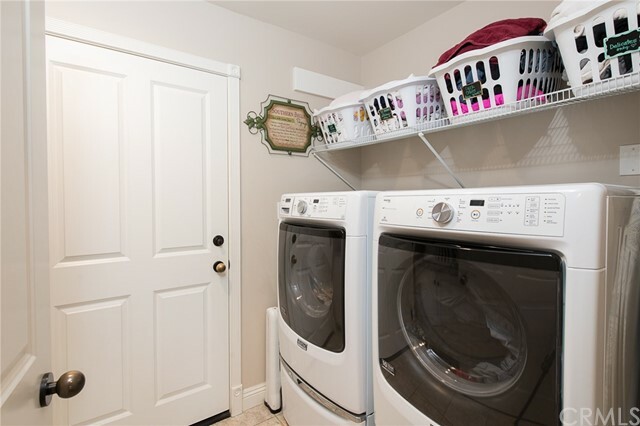 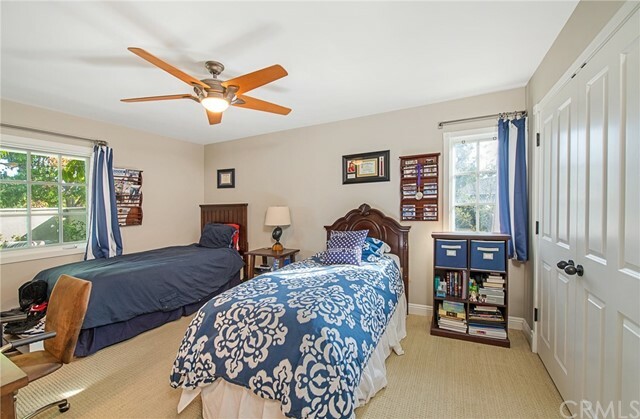 Additional amenities include walk-in pantry, central AC, central vacuum system, finished garage, and surround sound in master, living room and office. 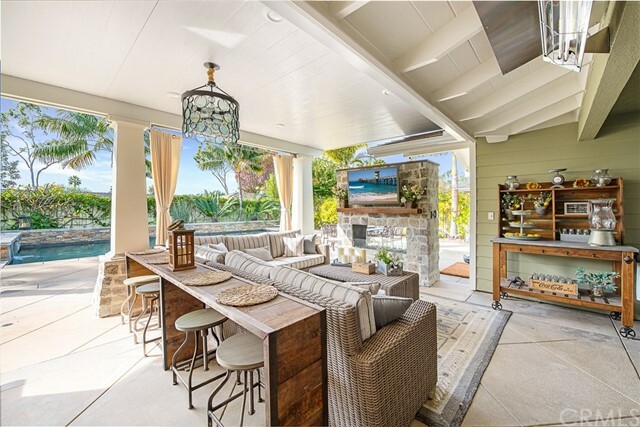 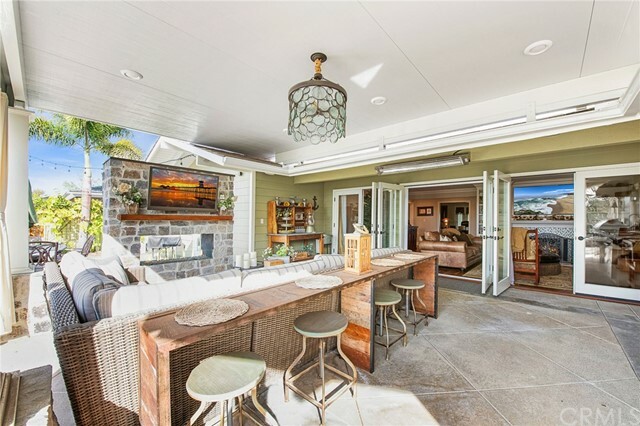 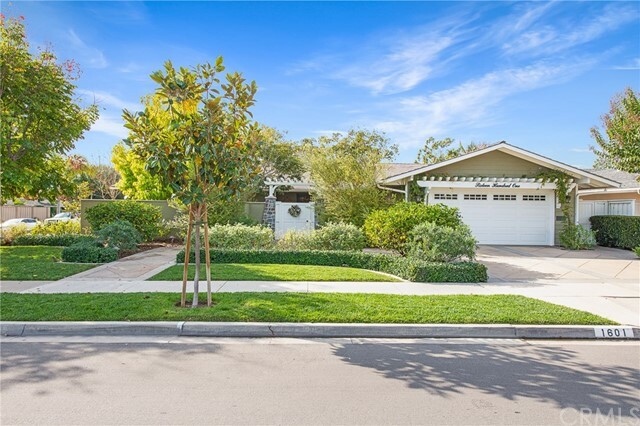 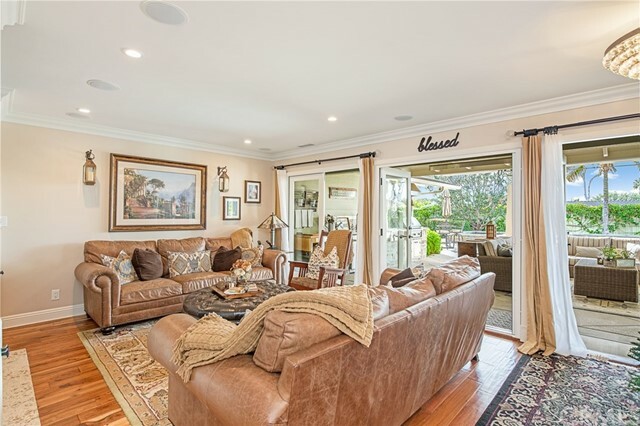 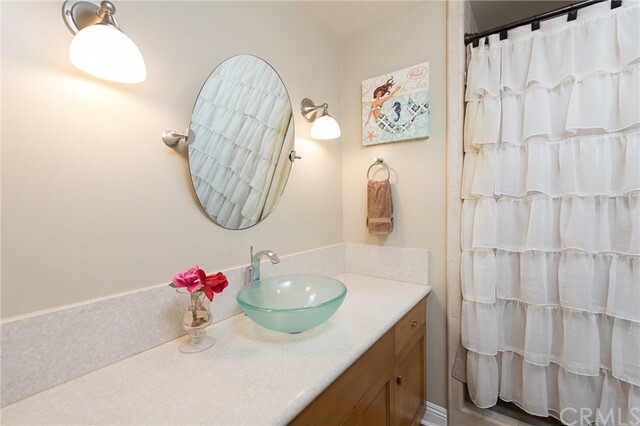 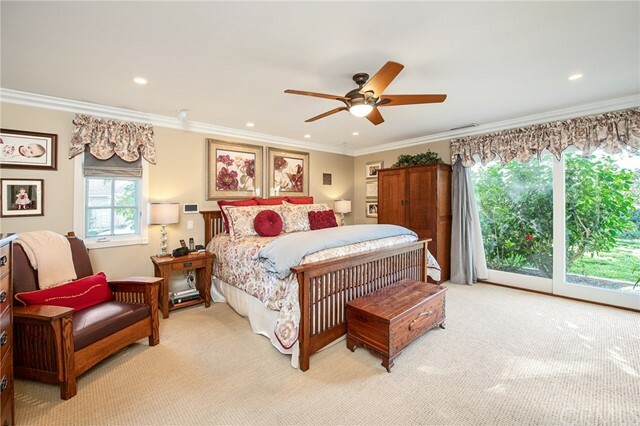 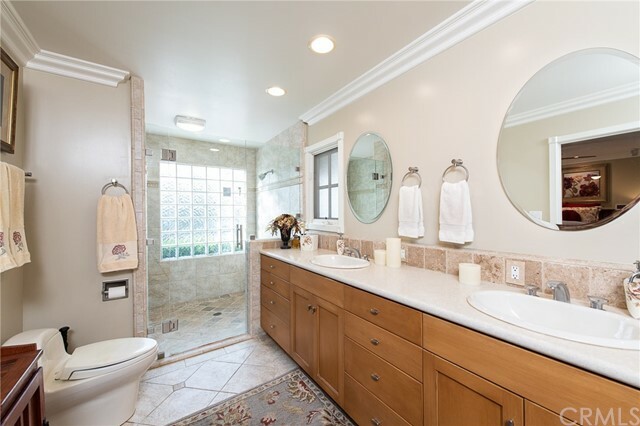 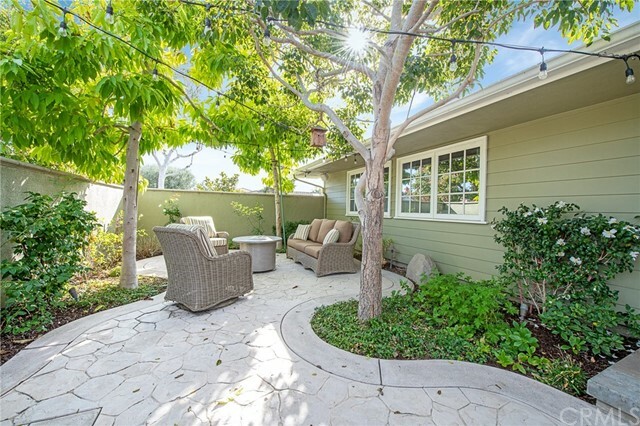 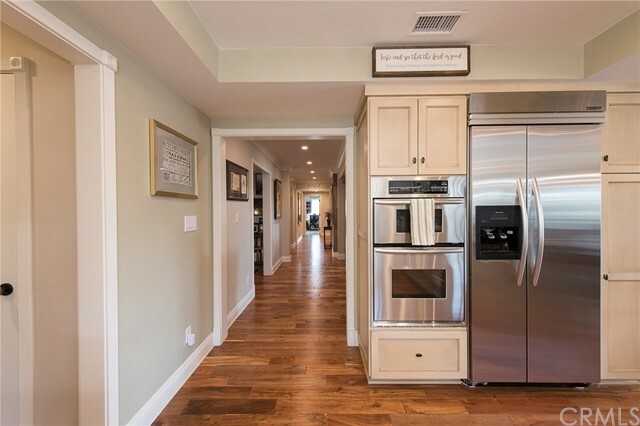 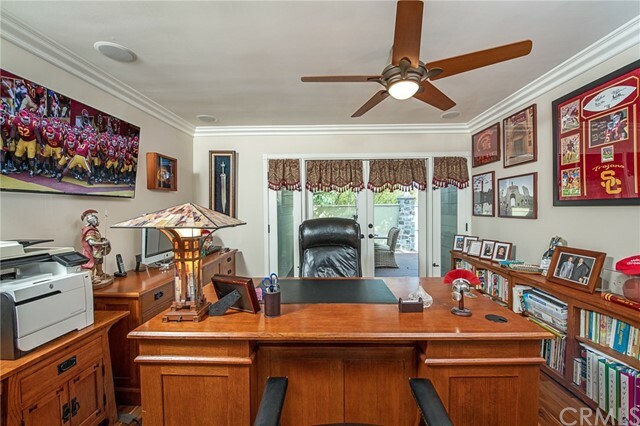 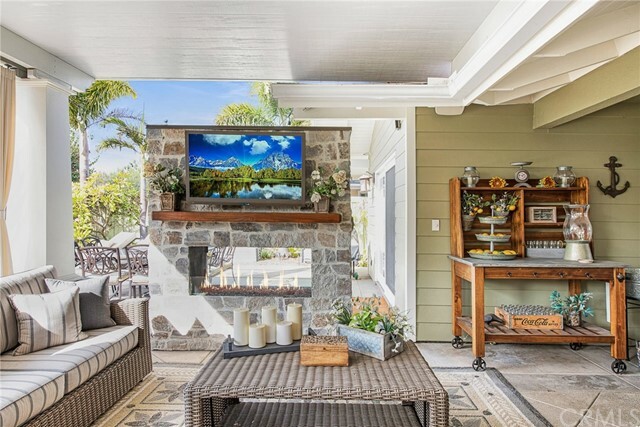 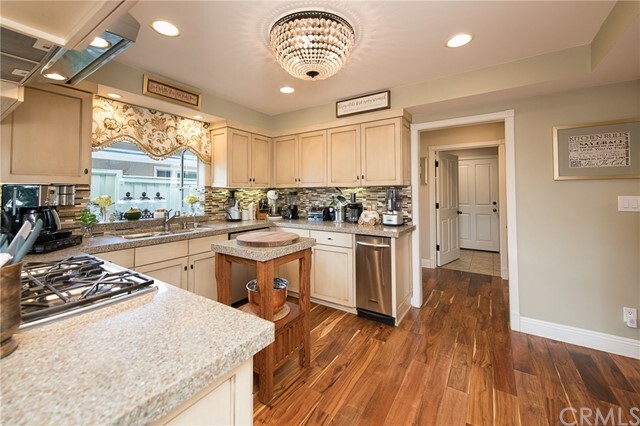 Centrally located near the beach, bay, world-class shopping and dining and within the attendance boundaries of award-winning Mariners Elementary and Newport Harbor High schools.